A fun, elementary game to introduce you to prepositions of place. Read the sentence and see which animal you have to find. Then choose the right word for the position of the animal. 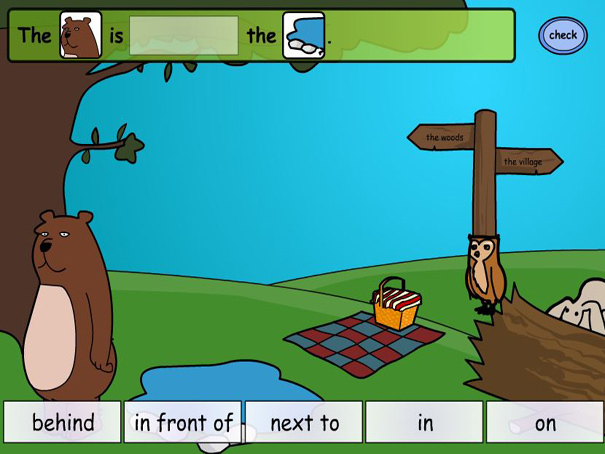 You can listen to each preposition and the whole sentence as well to check you have got the right answer.